A sign gives notice that the Bicentennial Boulevard overpass, over Expressway 83, will be closed starting Sunday for demolition. 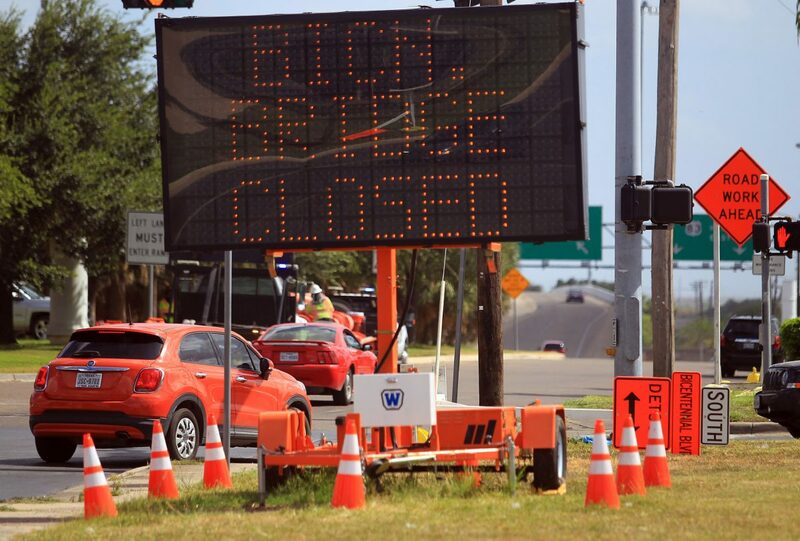 The Bicentennial Boulevard bridge in McAllen will be closed to traffic beginning at 9 p.m. Sunday to September 2019, according to a news release from the Texas Department of Transportation. Traffic will be closed between Jackson and Savannah avenues. Workers prepare to block traffic at the Bicentennial Boulevard bridge overpass that leads to La Plaza Mall and McAllen International Airport on Friday, Aug. 10, 2018, in McAllen. A ramp that comes off the frontage road and leads to a “T” at the top of the overpass has been closed since summer 2009 after the interchange there became the site of several deadly wrecks. The latest was in April 2009, when 19-year-old Benjamin Rodriguez of McAllen smashed through the temporary barriers at the bottom of the access ramp, which were placed there as officials tried to figure out what to do with the ramp, that led from the westbound Expressway 83 frontage road to a T intersection with the Bicentennial overpass. Rodriguez sped to the top of the ramp and, rather than turning left or right, crashed through a concrete barrier and plummeted onto the expressway’s westbound lanes. Six people had died in crashes at the interchange since January 2005, according to The Monitor archives. 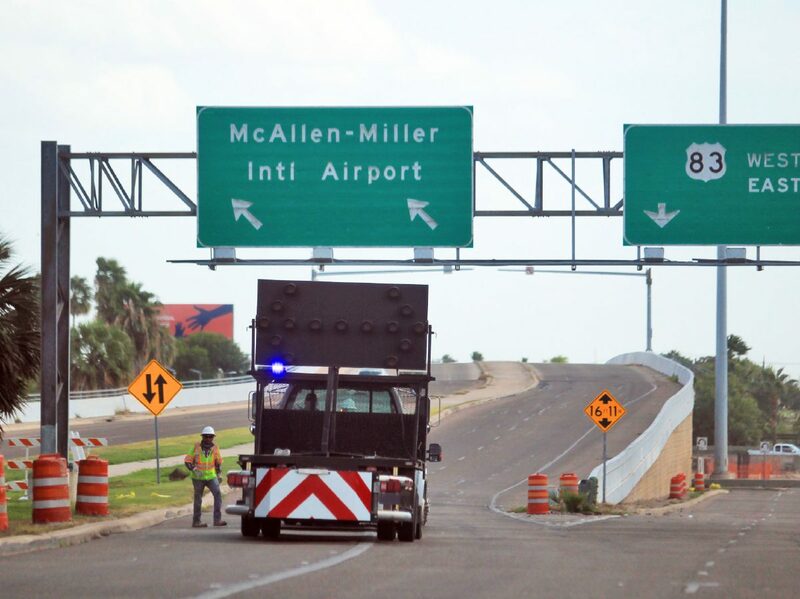 TxDOT officials had maintained the ramp — opened in 1999 as part of an Expressway 83 expansion through McAllen — was properly designed and safe for motorists. After three Mission teens — including the daughter of then Mission Police Chief Leo Longoria — died on New Year’s Day 2005, engineers added warning signs and flashing lights. Following another fatal crash in November 2008, officials said they would close the ramp late at night.